If you love the music of Sergei Prokofiev, this unusual museum is definitely worth a visit. The museum contains a living room, Prokofiev’s study and two other rooms that house exhibits associated with his family and friends. The museum has a magnificent concert hall, which holds various events for classical music lovers. ‘Technical Aesthetics’ in the U.S.S.R. 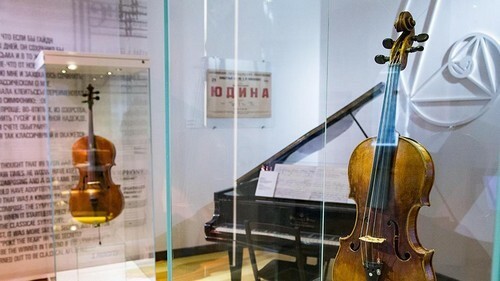 The museum presents a fusion of biographic insight into Prokofiev`s life and a visual display of his personal belongings. The exposition is modern, bright and unusual, equipped with touch-screen panels, unveiling many interesting biographic details of the composer`s life. This visit was organized by The Moscow Times’ clubs. To get more information on events and sign up, click here. Or follow us on Facebook!